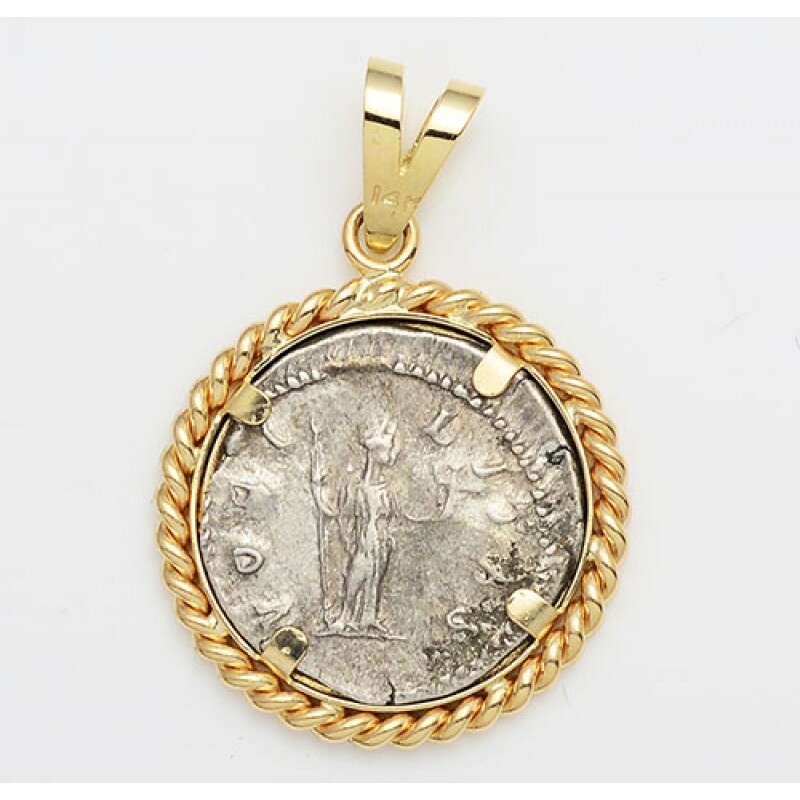 This beautiful ancient Roman silver denarius coin is well centered and has very fine detail. 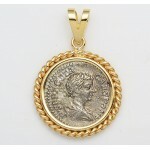 Hand-made solid 14kt yellow gold pendant with twisted wire rope design. 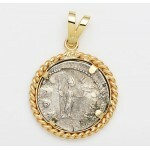 The pendant measures 1 3/8" tall x 15/16" wide. The total weight is 6.3 grams. Certificate of authenticity included. 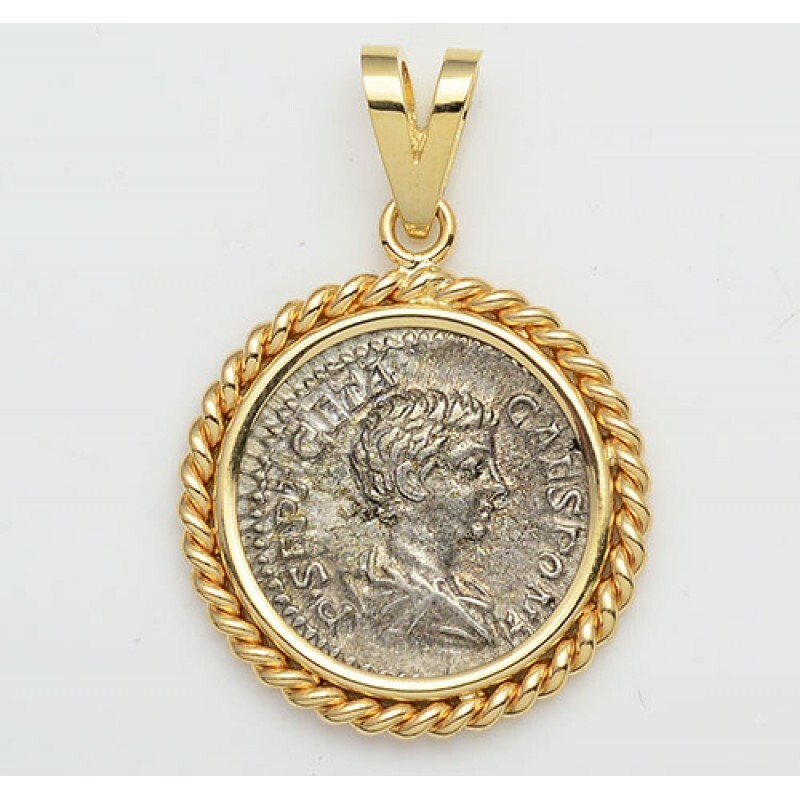 Don't miss this opportunity to own this beautiful high quality 14kt gold pendant with an authentic Roman silver denarius.